I found myself as I often do in Sephora picking up a gift and also looking to use a gift card from the holidays. I went over to get the Velvet Matte version of Dolce Vita but found it too brick, too much like things I already had. So I decided to look at the lipstick version which I found too light and sheer and thats when I fell in love with the Dolce Vita lipgloss. 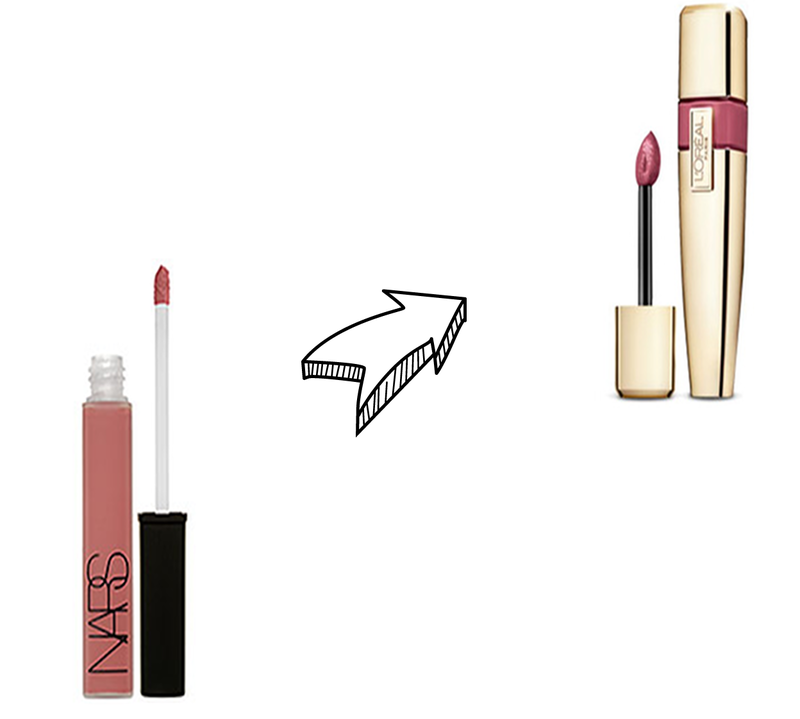 Its a great muted, but not muted, your lips but way better polished sort of color. Its perfect without being over the top. I took the plunge and picked it up. But I noticed something after wearing it non-stop for a few days– I had a similar color at home, from the freakin’ drugstore. DUH. The color I had at home was by L’Oreal. I talked about this product a few weeks ago as a great dupe for the YSL Lip Stains, but what I noticed is that #185 of L’Oreal Colour Caresse Wet Shine Stain is a dead ringer for Dolce Vita Lipgloss. Since the L’Oreal is not a gloss per say its not exactly a dupe for the Dolce Vita Lipgloss in consistency– but for color its almost a match. I find that the Nars is just ever so slightly pink. I felt kind of silly when I realized I had this color at home, but also triumphant that I made the connection. Either way I’m covered in the dusty rose lip product category for a while.